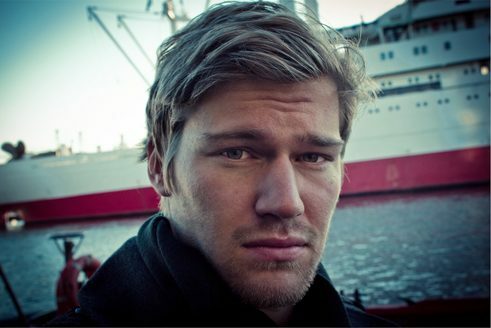 For Yolocaust, Shahak Shapira combined selfies taken at the Holocaust memorial in Berlin with pictures of concentration camps. The project of the Israeli satirist came to an end after the depicted people got in touch with him. But not the discussion it provoked. Mr Shapira, your project quickly gained a lot of attention. Within only a few days, the website www.yolocaust.de had 2.5 million hits and various media reported on ii. How did you get the idea? I some point I noticed the phenomenon of people taking selfies at the Holocaust Memorial in Berlin. I found such photos on Tinder, on Instagram and on Facebook, and a year or two ago I got the idea of combining them with photographs of the Holocaust. So the project didn’t arise from a spontaneous outburst of anger? If I want to be fast and up-to-date, I do things on the spur of the moment. Yolocaust I planned exactly because I knew that some people would regard it as radical. I’m not a fan of making jokes or creating art works and then apologizing for them. Most of the time I know beforehand what the reactions will be. So you were aware that the project could trigger controversy? That was what was interesting about it. I didn’t mean to dictate to anyone; I wanted people to talk about whether it’s right or wrong to behave like this at such a place. There was very positive feedback about Yolocaust from historians and teachers, who wanted to show the project in their courses. What reaction moved you the most? The young man who posted a selfie with the caption “Jumping over dead Jews@ Holocaust Memorial” sent me the most interesting response. He was shocked at what his words and his photo had triggered, and asked me to take down his collage. He had just wanted to make a joke for his friends. Yolocaust was also criticized. Among other things, it was said that it aimed at a “cheap effect”. Yes, I know. What irritated me was that untruths were also spread about the project. For example, it was said that my book made the bestseller list because of the attention, which is simply not true. My book was already a bestseller before Yolocaust. It was also imputed that I wanted to promote myself. Total nonsense. On the Yolocaust website you could find only my name. No biography, no photo, no reference to my book. Some of my critics, on the other hand, who are writers themselves, rode my wave, putting big pictures of themselves and their books in their reviews. The accusation against me was absurd. Naturally I wanted my project to become known, that its message reach as many people as possible. That’s the point of such projects. It was also argued that the memorial is expressly a place where visitors are supposed to find out how they want to treat the subject of the Holocaust. In this connection, the architect of the memorial, Peter Eisenman, was quoted: “It’s not a holy place”. The quotation is right, but the argument is factually incorrect. It’s true that Eisenman didn’t set up any rules, but the city of Berlin certainly did. For example, visitors to the memorial are supposed to traverse it only by foot. Making noise, jumping from stele to stele and so on – all that is prohibited. But even if everyone were allowed to do there what he or she liked, I’d still have the right to question this commemorative culture. You’ve used pictures showing victims of the Shoah in the collages. Isn’t this to respond to irreverence with irreverence? I was often asked this question. But in none of the media that posed it were the faces of the victims pixelated. Many pixelated the tourist selfies, but not the pictures of the victims. A bit hypocritical, don’t you think? There are no tasteful pictures of the Holocaust. The Nazis told their prisoners the world would never know what happened to them. It’s therefore our duty to show these images. Moreover, all the images I used are publicly accessible. The Berlin memorial is not located on the site of a former concentration camp. Would the discussion have been different had the project been carried out at, for example, Auschwitz? There’s also a “selfie culture” there. Whoever goes to Auschwitz usually knows where he is. You don’t have to ask why visitors behave as they do there of all places. I have the feeling that the project at the Holocaust Memorial had a greater impact because many people who take selfies there are not quite aware of exactly where they’re doing this. The project sparked a fresh discussion about commemorative culture in Germany. Would you also like to see a different form of the discussion? I don’t think commemorative culture in Germany is a bad thing. It’s not perfect, and will never be perfect – there’s always room above. But Germany should determine its commemorative culture itself. People are always asking Jews like me how they should commemorate or how anti-Semitic Germany is. Why should I be the one to define this? Germans seem to have so little sense of identity that they ask foreigners what is typically German. I find this somehow sweet. Shahak Shapira is an Israeli writer, musician and satirist. On New Year’s Eve 2014, he was attacked by a group of anti-Semitic men. Because he refused to allow the incident to be misused for anti-Muslim propaganda, numerous media reported on it. His autobiographical book Tell It Like It Is: How I Became the Most German Jew in the World was published in May 2016 and reached place 18 on the bestseller list at the beginning of 2017. Samira Lazarovic is a freelance journalist for various publications, including the online editorial team of n-tv. Copyright: Text: Goethe-Institut, Samira Lazarovic. This work is licensed under a Creative Commons Germany Attribution – NoDerivs 3.0 Germany license.